- Decision made on the storage of our stuff that will stay in Australia. - US visa applied for - interview this week. You cannot just turn up with an ESTA on a private boat so we are hoping to get a 5 year multi entry visa. It took half a day to work through all the stuff online - especially as they wanted full details of every trip Andrew has made to the US in the last 5 years plus a list of the countries he has visited in that period. We got to about 30 but I'm sure we might have missed some. - Sat Phone bought - we have decided to us our HF radio as the primary source of communications offshore, however we thought it was prudent to have a Sat Phone as a back up. - Spares list reviewed and marked up ready for our meeting in February with Oyster. Another very long job as the list of 'suggestions' runs to 17 pages. One good thing about moving your home aboard is that we will not need to buy all those small household gadgets. However, the boat needs a lot of spares. When we married the Oyster list up with our existing equipment list, we still have alot to spend - which luckily has been budgeted for. - Rigging plan signed off - required an emergency Skype meeting with the fantastic Jon at Dolphin Sails who really helped us figure out which lines we would like to come back to the cockpit and which can stay at the mast. - Final Foreign Exchange Transaction completed. Andrew being smart arranged to lock in our currency exposure for the purchase of Askari with payments timed to match our contract. We are a little ahead as we arranged for Oyster to delay the build so she got to stay inside during most of the UK winter. It's quite nice to know the cash is there even if she's not paid for yet. - BBQ ordered - most of the stuff Oyster do really well but BBQs is not one of them; I guess maybe we have become too Australian over the last few years and our BBQ set up is very important. After a lot of discussion we decided this was best left for us to do. So we've ordered an Australian Sovereign BBQ and will fit it ourselves. - Finally we have started packing stuff to take to the UK in Feb. We'll take our warm clothes for the trip and leave them there with a few other things including Andrew's new drone - more on that later! 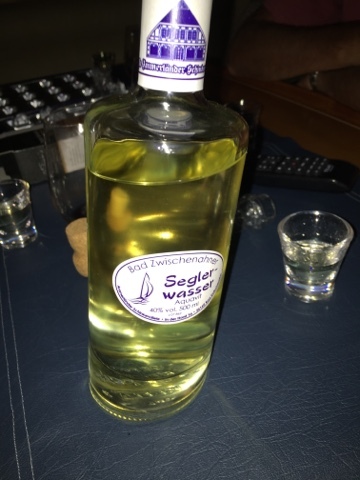 We have just toasted 100 days to go drinking this aboard s/v Aquavit in Quindalup - Segler Wasser means Sailing Water, so very appropriate.... We look forward to returning the gesture to our friends Clive and Roz aboard Askari somewhere in the world and promise to find a bottle of this delicious Aquavit so we are ready! 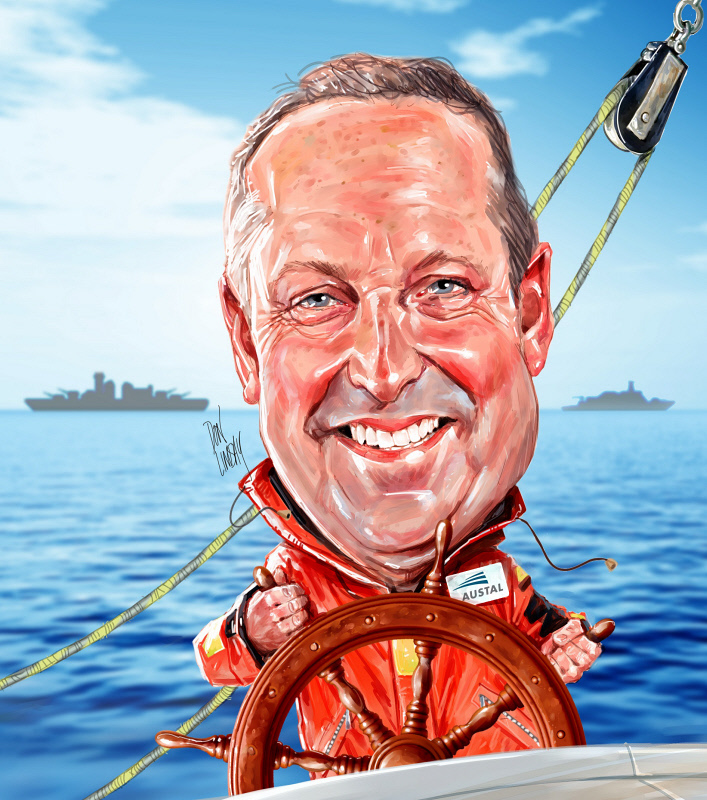 Thanks for a great weekend sailing in the beautiful calm waters of Geographe Bay, despite the Kraken! Oyster are underway with the spraying of 7 coats of matt varnish for a modern understated and elegant look. Meanwhile since Andrew resigned we have started to make plans for our departure from Western Australia for a while and to move onboard Askari. Carolyn has a project plan with 89 line items that includes everything from all the documentation, banking, tax, etc to accommodation during the handover, storage, mail solutions, medical training and logistics. It is all quite overwhelming so we have spread the tasks out over the remaining 12 (oh my gosh 12) weeks until we leave for the UK. Our EPRIB and two PLBs have arrived and we have registered them with AMSA ready to take to the UK. They are made by KTI here in Australia and have 10 year batteries, 66 channel GPS and have great reviews. They came with free armbands - not sure how useful they'll be as I think we will attach them to our PFDs. We have also received the marking note instructions from the shipping register in Canberra and made lots of small decisions from Andrew's visit. 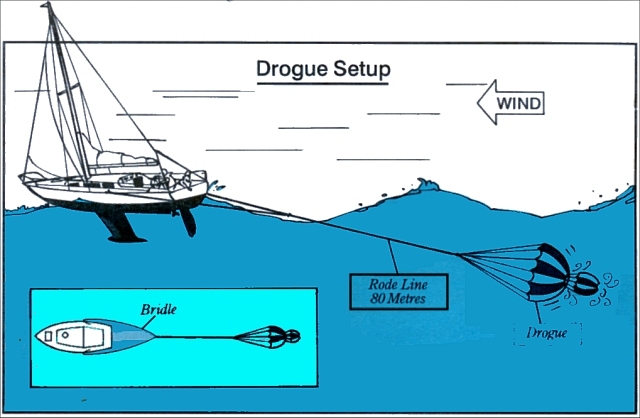 Finally, we have the rigging layout to review this weekend. So handover is 100 days on Sunday but this Australia Day weekend we are off to one of favourite places Quindalup - where we have a mooring ready and waiting for Askari.... Here's a picture we took last Christmas when we got to fly over in a helicopter! Today Andrew resigned his job - it's been a day I'm sure we won't forget in a hurry, but we are going to get Askari and start our adventure this year. 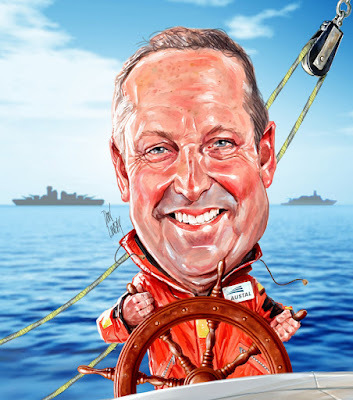 We know it's the right thing for us, but what a tough decision for Andrew, after he has invested so much of himself in the role and considers Austal family. I'm so incredibly proud of him! This picture just came through showing the sink and avonite in Midnight Sky in our aft heads (ensuite bathroom for non sailors). It's always great to see design decisions we have taken come to life! We will get to position the taps and the toothbrush tumbler and soap dispenser soon. We have been away in the Philippines Diving over Christmas and New Year, so have been a bit tardy with our Askari actions. So last night we went through everything on our list of things to and made sure that our Project Manager had our thoughts for his return to work today. - A decision about the heated towel rail - we are worried about the impact on the perspex shower door and the amount of space it will take up. We have asked for a sketch and other options. - Location of SSB controller and modem - we think these are going to go in the aft cabin however we need to ensure there's no interference from the autopilot. - Review quotation for fitted bedding in 'satin striped bamboo' as seen at the boat show. A few changes required. We had bamboo on R2 and found it really hard wearing, easy to care for and super comfy. - EPRIB choices - we did some research and found these are cheaper in Australia and this will be easier to configure with the aussie system so ordered a KTI manual GPS EPRIB as well as two PLBs. It was hard to decide whether to have an automatic system or not, however we concluded that the KTI battery life, GPS channels and transmit time swung it. We are also packing up all our dive gear now to go to Askari as Andrew has a business trip to the UK next week so can take it with him. A full progress report should follow very soon from his visit to Wroxham.